According to our latest Sprout Social data report, nearly 35% of individuals prefer social media as their channel-of-choice for customer service, surpassing both phone and email. This preference is further enforced by the staggering rise in the number of social messages to a business that require a response or need to resolve an issue. And yet, the average response time on social for most brands is still well above what individuals consider to be a reasonable wait time. Brand availability—the cornerstone of an effective social customer care strategy—is often severely out of sync with people’s expectation. Twitter recently released a number of features that are primed to close this gap by enabling brands to more accurately demonstrate their availability and provide clearer options for people to directly reach them with questions. 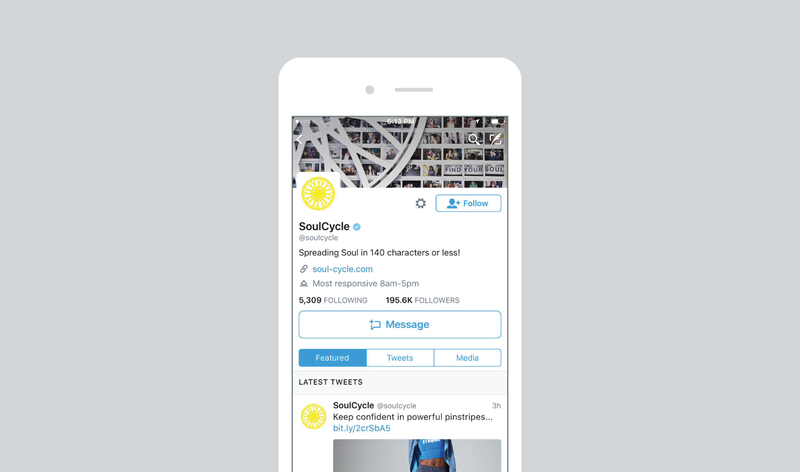 A number of leading brands who trust Sprout Social to power their Twitter customer care programs—including SoulCycle (@soulcycle), prAna (@prAna) and Evernote (@evernote & @evernotehelps)—are already benefiting from these new tools and, in turn, are providing more exceptional service to their Twitter community. Twitter’s new support indicators give brands the ability to add a “Provides support” label and define specific support hours on any or all of their profiles. These features augment existing common practices like creating dedicated support handles (@brandhelp or @brandsupport, for example) and using precious Twitter bio character space to indicate hours of availability. Despite many brands managing or promoting separate support-specific Twitter handles, often people naturally turn to the main brand handle for support type questions, as well. Now, regardless of handle type, the “Provides support” label will be displayed next to your account info in search suggestions, Tweet mention typeahead, and the Direct Message recipient selector; all reinforcing that your brand is ready and able to assist with questions, concerns or issues. In addition to the support indicators, configuring Twitter’s new “Support account” setting will also display a prominent Message button on your brand profile, giving people another option to contact you in just a single click. Building upon existing tools like the DM deep link, the new Message button serves as a clear call-to-action to easily reach out via Direct Message. 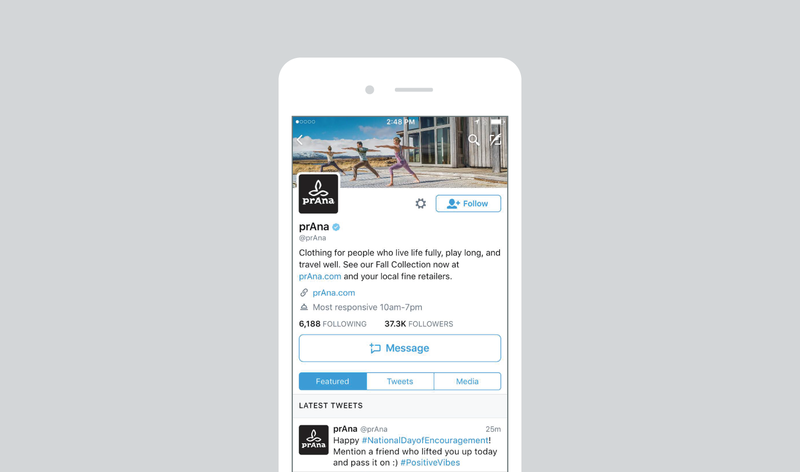 “Twitter’s new Message button directly and effectively communicates that we are open to receiving Direct Messages from anyone—making it more efficient for our customers to start a private conversation with us at any time, no matter the issue,” says Andre Walker, Brand Engagement and Partnerships at prAna. Insight and data from McKinsey proves that tackling a customer service issue on Twitter costs one-sixth as much as call centers and can lead to over 95% of issues being resolved in channel. It’s imperative to think holistically about your social customer care strategy and the resources—human and technological—you have in place to implement a streamlined, customer-friendly experience. 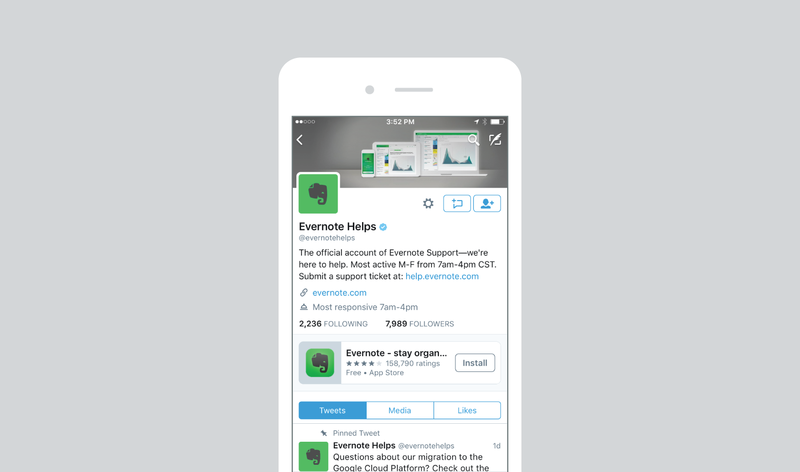 “Social media is an increasingly essential customer support channel for the Evernote team. We’ve noticed how crucial it is to our business early on and are excited to take advantage of new support-friendly features with Twitter and Sprout Social,” adds Barry. Find out how to configure these new Twitter features and learn best practices for setting up your social customer care strategy within Sprout.